Monolaurin is a substance derived from lauric acid, a medium chain fatty acid (and saturated fatty acid) found in coconut oil and in human breast milk. Available in dietary supplement form, monolaurin is said to offer a number of health benefits. Also a type of food additive, monolaurin is used as an ingredient in cosmetics and detergents as well. Why Do People Use Monolaurin? In addition, proponents claim that monolaurin can boost the immune system and knock out bacteria and viruses. Although clinical trials testing the health effects of monolaurin are currently lacking, some preliminary research suggests that monolaurin may offer certain health benefits. For example, a laboratory study published in the Journal of Applied Microbiology in 2015 tested the effectiveness of 15 plant compounds and nutrients against Borrelia burgdorferi and Borrelia garinii (bacteria known to cause Lyme disease). Tests indicated that monolaurin and baicalein (a compound found in skullcap) were the most effective antimicrobial compounds. In addition, a 2015 published in BMC Infectious Diseases examined the use of vaginal capsules containing Lactobacillus rhamnosus DSM 14870 and Lactobacillus gasseri DSM 14869 in combination with antiobiotic treatment for bacterial vaginosis or recurrent vaginal candida yeast infection. Researchers found that the 6- and 12-month cure rates for bacterial vaginosis were 67% and the 6- and 12-month cure rates for vulvovaginal candidiasis were 100 percent and 89 percent in women receiving fluconazole and vaginal probiotic capsules, and 100 percent and 70 percent in women receiving fluconazole only. A previous study published in Antimicrobial Agents and Chemotherapy found that vaginal gels containing glycerol monolaurate self-administered every 12 hours for two days reduced Candida and Gardnerella vaginalis, compared to a control gel, which reduced Gardnerella counts only. Due to a lack of research, little is known about the safety of high dose or long-term use of monolaurin. Although monolaurin may show promise in treating certain conditions, it shouldn't be used as a substitute for standard treatment for any condition (avoiding or delaying care can have serious consequences). Learn more about using dietary supplements safely. Available for purchase online, supplements containing monolaurin are sold in some natural-foods stores, drugstores, and stores specializing in dietary supplements. 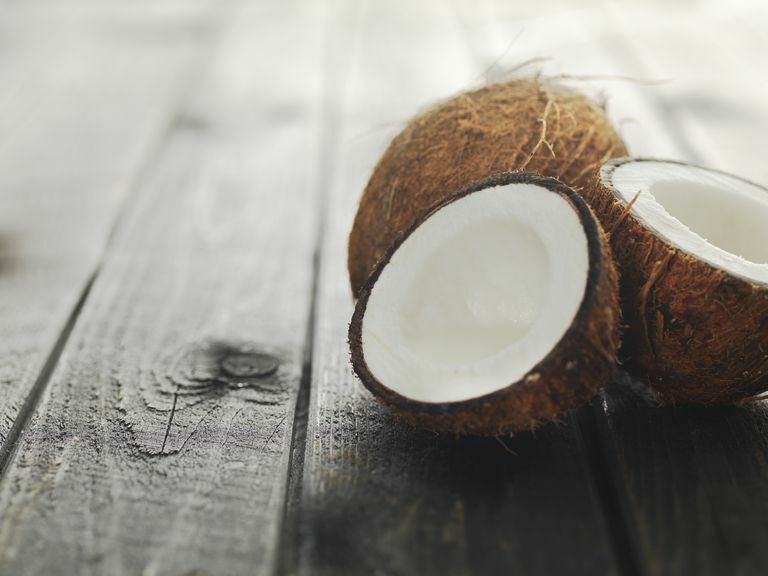 Coconut oil, with its high lauric acid content, is sometimes said to be good for treating certain conditions, however, some research suggests that coconut oil may not be helpful in overcoming infections. Frustrating may not begin to explain your feelings about trying standard treatments without much success. While monolaurin may be very appealing, we can't be solid about the effectiveness or safety since there's a lack of large-scale clinical trials confirming these effects. If you're still considering trying it, be sure to consult your healthcare provider first to weigh the pros and cons and to discuss whether it's right for you. Several natural remedies may offer effects similar to the purported benefits of monolaurin. For example, there's some evidence that capsaicin cream and proteolytic enzymes (such as bromelain) may help with some of the symptoms shingles. Additionally, remedies like lysine, lemon balm, and reishi may help with cold sores (a condition caused by the herpes simplex virus). For help in strengthening your immune system, make sure to follow a diet high in immune-boosting foods, get sufficient sleep, exercise regularly, and manage your stress levels. In addition, increasing your consumption of garlic, ginger, and omega-3 fatty acids could enhance immune function. Some studies also indicate that taking supplements containing probiotics (a type of beneficial bacteria) may help stimulate the immune system. Goc A, Niedzwiecki A, Rath M. In vitro evaluation of antibacterial activity of phytochemicals and micronutrients against Borrelia burgdorferi and Borrelia garinii. J Appl Microbiol. 2015 Dec;119(6):1561-72. Pendharkar S, Brandsborg E, Hammarström L, Marcotte H, Larsson PG. Vaginal colonization by probiotic lactobacilli and clinical outcome in women conventionally treated for bacterial vaginosis and yeast infection. BMC Infect Dis. 2015 Jul 3;15:255. Strandberg KL, Peterson ML, Lin YC, Pack MC, Chase DJ, Schlievert PM. Glycerol monolaurate inhibits Candida and Gardnerella vaginalis in vitro and in vivo but not Lactobacillus. Antimicrob Agents Chemother. 2010 Feb;54(2):597-601.